Sable rugs are made from super soft fine polyester that shimmers as you walk around them. They are super soft and chunky and offer an ultra shimmering focal point. 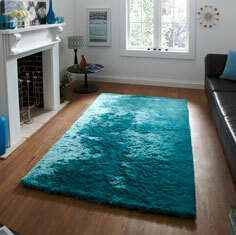 Sable rugs are hand tufted in China and are made in 3 popular sizes and 7 colour-ways.